Each month we try to go to Hardees for breakfast. It is a change of scenery and the residents love the biscuits and gravy. 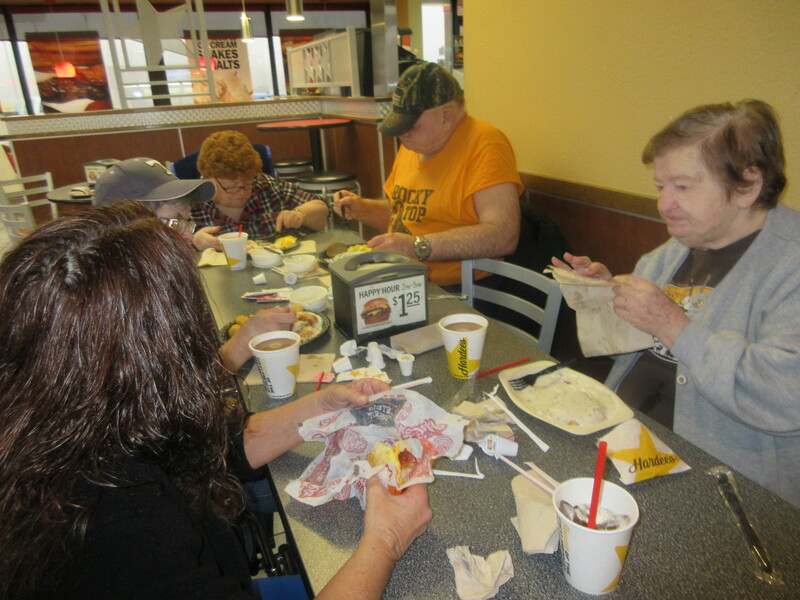 It is also a good way of seeing old friends that come to partake of Hardees food as well.